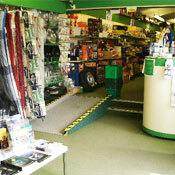 We also have a huge range of used Caravans, Awnings & accessories. 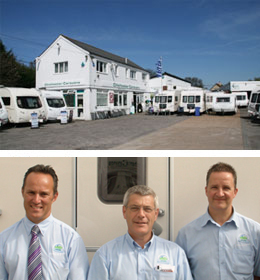 Click below to see our stock, call 01243 377441 or email chichester@chichester-caravans.co.uk. Hopefully you will all have a great Easter and for those of you that will be away in your caravans it looks like you are going to be lucky with the weather.... (fingers crossed!). We we be open as listed below so hope to see a good number of you over the weekend to take advantage of our great caravan prices and fully stocked shop. On top of the fantastic new caravan prices here at Chichester Caravans Nutbourne, Swift have just launched their most recent offer called "Bloomimg Great Offers"! Basecamp models will get a FREE Pluspack. Worth £715! Sprite Models will get a FREE Diamond pack. Worth up to £610! Challenger/Eccles models will get a FREE Lux Pack. Worth £625! Elegance models will get a two wheel drive motor mover. Worth up to £1195! Applies to all Swift/Sprite caravans ordered between now and Tuesday 7th May 2019. …..all this, in addition to the great prices we already have, make this the perfect time to order your new 2019 caravan for the new season. 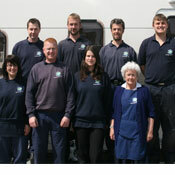 We also have fantastic prices on all our Lunar and Bailey caravans. Don't forget we also have a great selection of used caravans in stock ranging from just £6995! Many of which have been reduced in price to make space for new stocks arriving shortly. Call Dean for any further information and prices you may require. 01243 377441. Our shop manager Mark has spent the last few weeks unpacking various pallets containing just about anything the keen caravanner or motorhome owner could wish for. Our shop is now stuffed to bursting point! So why not pop in and see some of the new 2019 product ranges with prices to suit every pocket. The clocks have gone forward....and its rained ever since! !….but it is officially British Summer Time....so to that end we are now on our summer opening times.